We will have DAIWA TANACOM bull 1000 Fe in stock at the end of JULY! DAIWA TANACOM bull 1000 Fe is very popular and out of stock now. We will have it in stock at the end of July. Shimano Scorpion DC7 coming back! New released Shimano Scorpion DC7 has been out of stock since this spring. As this model is so popular, Shimano can not provide enough q'ty. But Shimano inform that they can provide the producs from end of June. Hurry!! If you want to buy Shimano Scorpion DC7! DAIWA TANACOM bull 1000 Fe coming back!! 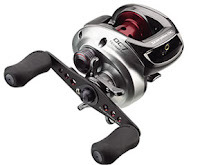 Now, DAIWA TANACOM bull 1000 Fe is out of stock in our store. Because Daiwa stop manufaturing this model. But we strongly request them to make DAIWA TANACOM bull 1000 Fe again, and they confirm to make it in limited q'ty. We may be able to sell from next month but the q'ty can sell is not many. If you want to buy DAIWA TANACOM bull 1000 Fe, please book now! Contact us at tackle@keiei-support.com to book DAIWA TANACOM bull 1000 Fe. Electric reel, spinnning reel, baitreel, lod, lure..